At 5:00 P.M., October 22, Rev. Michael Alexander Jarecki went to his reward, aged 95. Father Jarecki was a priest of the Ogdensburg, N.Y., Diocese, an ardent Apostle of Our Lady of Fatima, a longtime chaplain to Saint Benedict Center, devoted friend and ally of Father Feeney and Brother Francis, and an indefatigable laborer in the vineyard of Our Lord Jesus Christ. A priest loyal to the traditional Latin Mass (when it cost dearly to be so), and a patient confessor who comforted many, he is much loved and lamented. This Ad Rem was to be a continuation of my recent comments on How to Fight. Father’s death yesterday changed my plans — but not totally. His life was an example of how to fight, for he was a great fighter, who fought for the only causes worth fighting — the enduring Catholic causes. Brother Louis Marie and I were at his side praying when he breathed his last. He had received the last rites Saturday night, just two nights previous. The Brothers and Sisters remained in his room for a long time after his death, praying and singing hymns and Gregorian melodies, including some of his favorites. So, please pray for Father! In addition to the obituary, below, there is a brief tribute to Father Jarecki on the IHM School site. We also published a newsletter with several tributes to him, which you can see here: Mancipia January/February, 2011. Finally, there was this earlier tribute by your humble servant: Tobias and the Priest’s Mother. Rev. Michael A. Jarecki died on October 22, 2012, at the St. Benedict Center in Richmond, New Hampshire. He had been in failing health for some time. Father Jarecki will be waked at Saint Stanislaus Church in Winchester, New Hampshire on Thursday, October 25, from 4-7 PM. On Friday, October 26, an additional viewing will take place at 9 AM, followed by the Rosary at 9:30 and a traditional-rite Requiem Mass at 10:00 AM at Saint Stanislaus Church (one church of Queen of Peace Parish). His body will be transported for an additional funeral Mass in Lewis County, New York, where he will be buried in a family plot. In New York, Father will be waked on Monday, October 29 at St. Martin’s Church in Port Leyden from 1 PM until 3 pm. The Mass of Christian Burial will be celebrated by the Most Reverend Terry Ronald LaValley, Bishop of Ogdensburg at 3:30 PM. There will be a reception at the church afterwards. Michael Alexander Jarecki was born in Turin, New York, on October 6, 1917, to Vincent and Irene (Black) Jarecki in Turin, NY. He attended the Martinsburg District Schools and Lowville Academy until his graduation. In 1936, Michael entered Wadhams Hall Seminary in Ogdensburg, NY, for his minor seminary training. Upon completing his course there, he enrolled in St. Bernard’s Major Seminary in Rochester, NY. Father Jarecki was ordained by Bishop Bryan J. McEntegart in the old St. Mary’s Cathedral on June 3, 1944, and offered his first Mass the next day, Trinity Sunday. After ordination, Father was a summer assistant at St. Agnes, Lake Placid, then assistant pastor at Sacred Heart, Massena. In 1954, Fr. Jarecki was made pastor of St. Ann’s, St. Regis Falls and St. Peter’s in Santa Clara. In 1963, he was named pastor of St. Mary’s in Constableville and then, in 1968 pastor of St. Michael’s in Witherbee. In 1973, he was named to the College of Consultors and pastor of St. Martin’s, Port Leyden and St. John’s in Lyons Falls. In 1975, he was appointed Dean of Lewis Deanery. In 1980, prior to his retirement, Father Jarecki was associate pastor in St. Mary’s, Ticonderoga. After his retirement in 1987, Father Jarecki lived in residence in Brushton and then in Constable, NY. During that time, he was also helping groups of Catholics loyal to the Traditional Latin Mass in various locales in New York and New England. 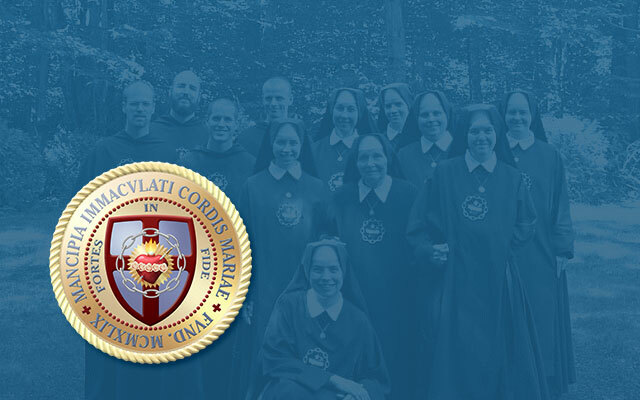 Eventually, he devoted much of his time and labor to two apostolates that were dear to his heart: Saint Benedict Center in Richmond, New Hampshire, and the Fatima Center in Constable, NY. Since 1997, Father Jarecki lived full time in Richmond, N.H., with the Slaves of the Immaculate Heart of Mary (M.I.C.M.) at Saint Benedict Center. When Father was no longer able to take care of the spiritual needs of this community, they felt honored to take care of his physical needs. The current chaplain of the community, Father David Phillipson, administered the Church’s last rites to Father Jarecki in the traditional form two days before his death. Father Jarecki is survived by his brother, Vincent John Jarecki, of Rome, New York, and numerous nieces and nephews.